Support Marin TV This Holiday Season! "Giving Tuesday" starts the Holiday Giving Season. Please consider helping us grow Marin TV as a vital source for local media! The Community Media Center of Marin has been working hard for over 7 years, starting as a scrappy DIY Media Center to become an increasingly vital resource to the residents of Marin. With our Marin TV channels, we are an enabler for government transparency, bringing your local and county government officials right into your living room. Our educational channel gives you learning resources you can’t get elsewhere and provides our schools and students a vehicle for sharing their projects with the community. Our community channel gives everyone in Marin a voice without the threat of censorship. It’s truly the only First Amendment TV. And our media center gives all residents the training they need to produce their own programs with free access to the tools of production and distribution. The center also provides a space where Marin artists come to share their work, films, and voices with the community. It's that time of year again! Don't forget to stop by the Marin TV Booth to pick up free swag, get your picture taken in our Marin TV Photobooth, and more! Find us in the Exhibit Hall located in the Virtual Forest. See you there! June 30th - July 4th at the Marin County Civic Center. For more information about the fair, visit https://www.marinfair.org/2018. December 2nd is Giving Tuesday and we want to encourage you to make CMCM a part of your Holiday sharing! Q&A sessions with the filmmakers. CMCM invites you to join us for the opening reception of our latest Georgia Annwell Gallery exhibit featuring the work of Marin's legendary glue artist, Dickens 44. Refreshments will be provided. Please feel free to visit the exhibit any time during our normal business hours. Exhibit Reception: Friday, June 8 from 6 PM - 8 PM. Based on CMCM member votes, Lawrence Strick and Bill Sims will serve out terms on the CMCM board beginning Nov 2013. Our thanks to all candidates for their commitment to serving CMCM and their efforts now and in the future! The annual member meeting is scheduled for this Wednesday Oct 30th at the San Rafael Corporate Center, Tamalpais Room from 6:00 - 8:00pm. Typically this is a short presentation to the members present, followed by Q&A and a brief first board meeting. Please make an effort to attend and meet members of the CMCM board and hear updates about the past year of operations! 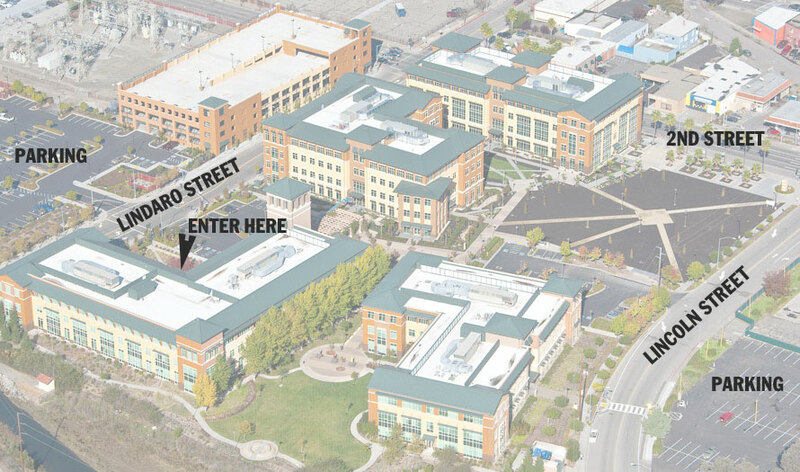 Directions to the San Rafael Corporate Center - Use the Lindaro Street Entrance to the right of the PG&E entrance. Parking available in nearby lots. How long have you been a member of CMCM? I've produced 18 "specials" for Marin TV including "'Southeast - Life in the Alaska Panhandle," "The White Bag," and "Cuba, Libre." "Southeast" is a visual essay about Alaska's remote Panhandle region; it has been viewed on 27 public access stations across the U.S. serving over 1 million households. "The White Bag" is a spoof on the 1940s-1950s film noir "cops and robbers" and spy thrillers. It was a CMCM class project in which I play the "Ace of Spies." "Cuba, Libre" is a documentary that traces this history of travel to Cuba by Americans from the early decades of the 20th century until the Cuban revolution, and in the last 20-odd years since Americans resumed visits to that island nation. If you attended college ... What was the name of the school? What was your major? "Wake up with Dr. Cheryl - Wealth Transformation"
The purpose of the show is: "To raise the awareness and consciousness in the relationship with Wealth and apply Unconditional Love. From 0 to 5 in Palo Alto, CA and from 5 until 21 in Bellevue, WA. In high school, during the summers I attended ITT Peterson School of Business. I finished my B.S. in Business Administration, M.B.A. in Finance and PhD in Financial Management and Business Administration from Almeda University, which is an online university. I am also a Minister in the Universal Life church and studied for 3 years in the Religious Science Church. What is/was your occupation? How long have you been in this profession? The transformation of a woman's body and the struggle to adapt to the early stages of motherhood: a performance art piece featuring poetry and biology, fact and fantasy, dance and drama.